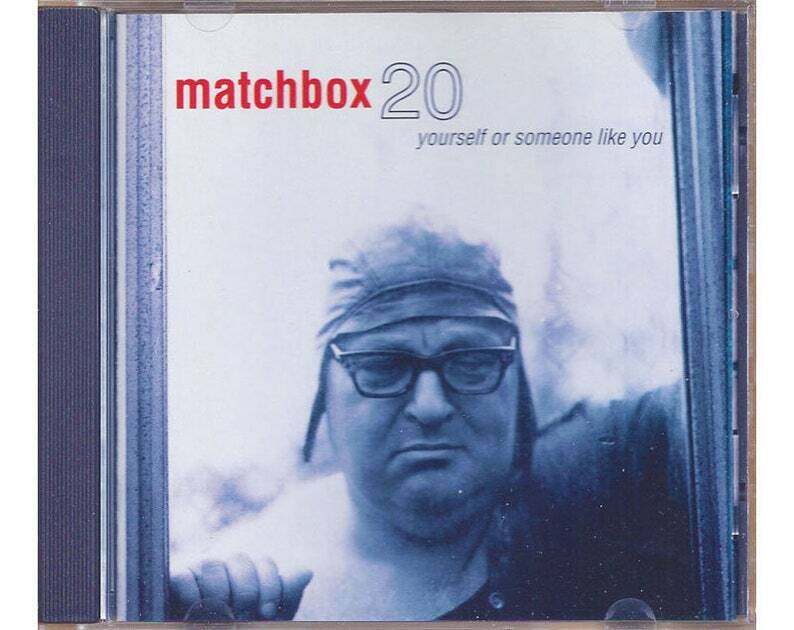 Yourself or Someone Like You is the debut studio album by American rock band Matchbox 20, released in 1996. With a sound similar to traditional rock and post-grunge, the album catapulted them to rock stardom. Great addition to my rocking horse collection. Let me know if you have other horse ornament from previous years. Album arrived early. Excellent condition . Very nice price. No problems whatsoever. Very good and positive experience. We accept payment in US Dollars (USD) via PayPal and Etsy Payments. Our preferred method is PayPal where we've had a claim-free, verified business account since 2000. If you do not wish to create an account, PayPal offers guest checkout via the "Pay with debit or credit card" option below the PayPal login section on the checkout page. This option provides all of the same benefits of your card services as well as those provided to PayPal account holders. So you can rest assured that your payment is secure and your rights are protected. Returns are accepted within 30 days of purchase. Simply contact Nicole via Etsy email or toll free at (866) 548-2064 to expedite the return process. Refunds are provided upon receipt of the items in their expected condition via the payment method you used to purchase the item. Full refunds are provided for items lost or damaged during shipment. For general returns or packages returned to sender, we will provide a refund less any shipping costs we have incurred. So, whatever your reason for returning an item, just be sure to contact Nicole for assistance. We typically ship orders the same or next business day, but no later than the third business day, with tracking provided for your convenience. Delivery time depends on your location and shipping method. US shipments take 2-10 business days and international shipments can take 2-6 weeks or more. If you have not received your package within that time frame, please contact Nicole. || INTERNATIONAL SHIPPING || We ship to most countries and insure all international shipments. Any customs fees and VAT (value added tax) are not included and may be due upon receipt (sorry, we cannot legally mark merchandise as "gifts"). What are your policies regarding payment, shipping, and returns? The Purple Iris family wants you to be fully informed about how we do business so you can shop with confidence knowing that your satisfaction is of the utmost importance to us. So we have developed a comprehensive set of policies to answer any questions you may have. Our policies are accessible via the Policies tab at the top of the shop's home page as well as within listings. Of course, if you don't find the answers you're looking for, please do not hesitate to contact Nicole. We sure do! Shipping is calculated at checkout, so you should be accurately charged. However, with the way the system is set up to fit multiple items in a package (or packages), there may need to be an adjustment, which would most likely be in your favor. How well do you pack items for shipping? Our customers have always had positive things to say about how fast we ship and how well their item was packed. That's because we take extra special care when shipping all of our items, fragile or not, and aim to get packages out the same or next business day. We use peanuts, bubble wrap, packing paper...whatever it takes to ensure your item arrives in the condition that it was sent. We have no control over how a package is handled once it leaves our hands, but we can certainly prepare it for its journey to your doorstep. Can I have my order shipped to an alternate address? You sure can! We provide this service as a courtesy to our customers, but do require that PayPal and Etsy invoices show the shipping address. This is for our own protection and our ability to serve you in a timely manner in case a problem arises during shipment. Both PayPal and Etsy provide the option to add alternate shipping addresses within your account settings. If you need assistance, feel free to contact Nicole for detailed instructions. What if I have a question, comment or concern? How may I contact you? We aim to provide detailed item descriptions and policies so customers can make a fully informed decision prior to purchase. So, if we have overlooked something, please do not hesitate to ask via Etsy's messaging system or by calling Nicole toll-free at (866) 548-2064. Our business hours are Mon-Fri, 10a-6p, and Sat, 10a-2p (Central). We typically respond to emails within 24 hours or less and, if Nicole happens to be unavailable by phone, you can leave a detailed message and she will get back to you at the earliest possibility.